from His Bibliography of Source texts from the Yoga Makaranda (1934). - Nāradīya Tantra, one of Krishnamacharya’s ignored sources. 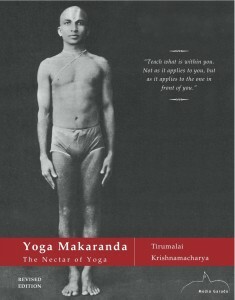 Krishnamacharya’s Yoga Makaranda Preface with his Bibliography of Sanskrit Sources. – T. Krishnamacharya, from the Preface to his Yoga Makaranada (1934). Bibliography of Krishnamacharya‘s Sanskrit Sources listed in his Yoga Makaranda. – Krishnamacharya’s list of texts above includes the following six overlooked Tantric ‘Yoga Shāstras,’ which date from between the 9th and 14th centuries. These total more than *74,000* verses, include numerous variations of Sūrya Namaskāra, and present more than 200 āsanas in different groups of classification. As Tantras (‘Revealed Scriptures’) they also present Vinyāsa in which these are to be engaged, as this course will show. 1. Nārada Pañcarātra Saṃhitā (-Tantra). * Pre- 14th century; more than 32,000 verses. Perhaps the most influential of his sources, the Nāradā Saṃhitā, ak.a. the Nārada Purāṇa, is most commonly referred to known as the Nāradīya Tantra. 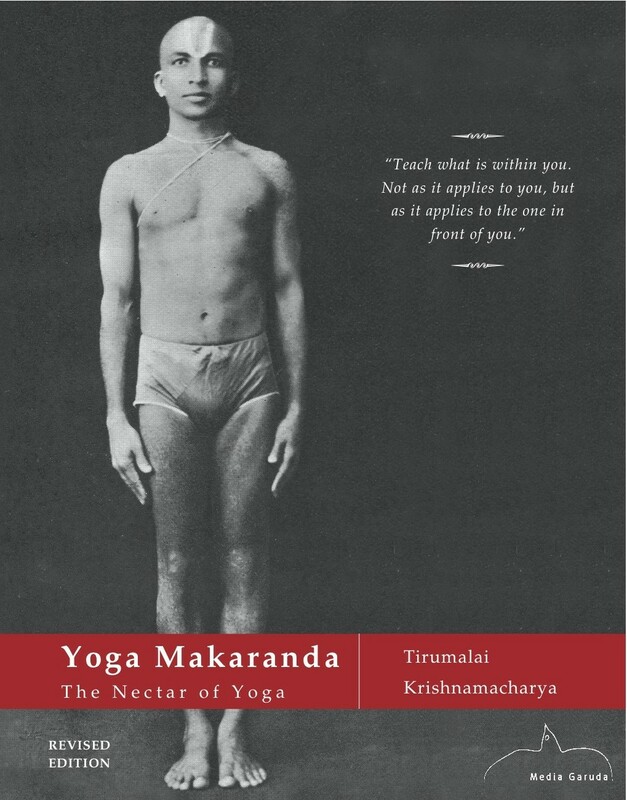 It contains an entire chapter on the worship of Krishnamacharya’s Chosen Deity, Hayagrīva, whose seed mantras are still used in the practice of Sūṛya Namaskāra today (hrāṃ, hrīm, hrūm, etc.) It was first published in 1927. * 12th-14th centuries; 4500 verses; published in 1916. * pre-10th century; 5,625 verses; published in 1982. The Oldest of Krishnamacharya’s Vaiṣṇava sources. * pre-15th century; 9000+ verses; published in the 1960s? * written before 1300 A.D. 3000+ verses; first published in1893. * ca. 7th century; 20,000 verses (unpublished).